We’ve already seen mock-ups and speculative renders of the standard sized 5-inch Google Pixel just recently, but at this time, we’re still left out in the dark regarding what its big brother, the Pixel XL will look like. However, that may soon change. A designer of cases has created a series of mock-ups of the Google Pixel XL. Of course, the latest round of renders could likely be based on schematics that the case maker has received. It’s also worth noting that the camera part of the case features a wider cutout instead of the standard sized ones. 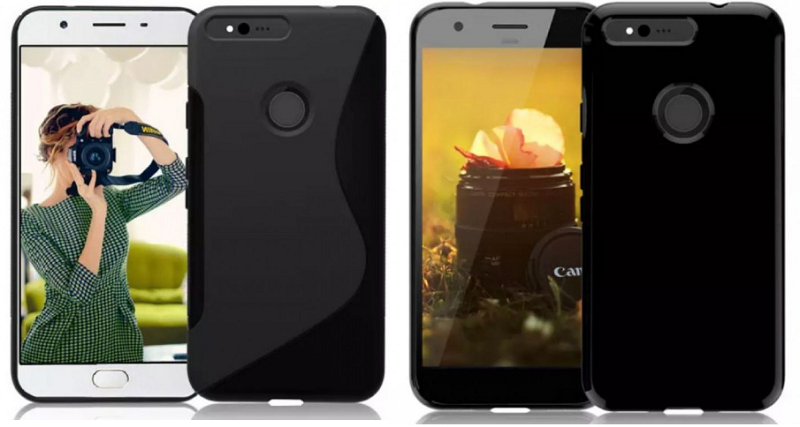 Its width is quite visible even if you don’t compare it to other smartphone cases, too. Based on the renders, it appears like a loudspeaker instead of a dual camera setup, although it would be an awkward position to blast out the audio. As if that’s not enough, there’s a Home button situated at the front of the device. That would also seem out of place since Google hasn’t been adding buttons on the front of its devices, and it would seem counterproductive to set the fingerprint scanner apart from the home button. Anyway, Google could launch its upcoming devices some time in September or October. That is if the search engine giant will repeat what it did last year. Either way, we’re excited to see what both devices will look like and what they will feature when both of them come out.